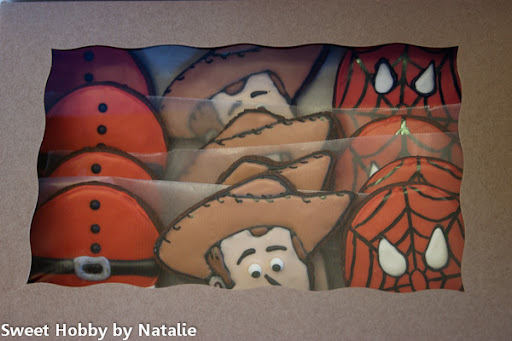 Sweet Shop Natalie: What do Woody, SpiderMan and Santa have in common? 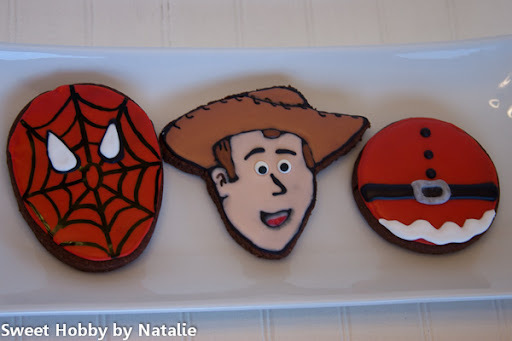 What do Woody, SpiderMan and Santa have in common? 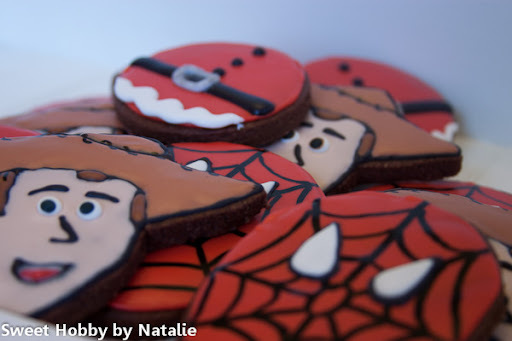 What does Woody from Toy Story, Spider Man and Santa all have in common?? My nephew Nathan LOVES them with a very capital L!! He loves all things Spider Man and Woody and he LOVES Santa. In December he even dresses up as Santa and makes deliveries to friends and family. He is so awesome! He is the youngest child of my oldest brother Matt and the younger brother to Emily who I recently posted about here. Nathan was born with Down's Syndrome and had some breathing complications, and had to be on oxygen for many months. I was serving a LDS mission when he was born and I fondly remember having his picture sporting oxygen tubes taped to his face taped up on my side of our apartment. I loved looking at his picture. I finally got to meet him when he was 18 months old. Nathan does not speak, well he does say a few words and he knows sign language, but you can definitely know when he agrees or disagrees with something. He is a very curious soul and my brother's family have many "Nathan" adventures they can share from starting a "campfire" in the living room to disappearing from Thanksgiving dinner one year. He is so fun to watch with Grandpa, he loves him and it is great to see the wonderful relationship that they have. He also loves to hang out with the guys in the family. I so wish that I could see inside his head cause I know that I would learn so many things and would be fascinated with all this young man knows. Happy Birthday to a wonderful amazing teenager! 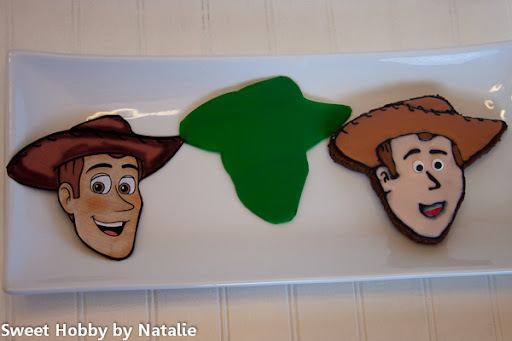 So I really did not want to attempt a Woody cookies cause I thought it would be way too hard, but Nathan really loves woody, so I searched and saw that other cookie makers did it so I gave it a try but I did not want to buy a special cookie cutter so I did what I have learned from other bloggers and made a template, printed out the picture of woody I wanted to used the traced it out on a plastic lids then cut it out and voila you have a template to cut out cookies. The Spider Man and Santa belly were super easy so that way I could spend more time on woody.